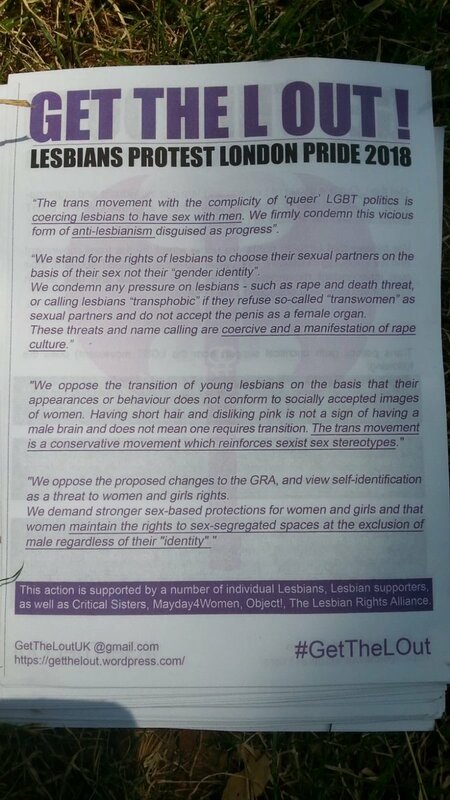 Yesterday’s Pride In London parade was blocked and hijacked by a small group of lesbian activists protesting the existence of trans women. This would be bad enough, but the Pride In London organization let the group lead the march. — despite, of course, that without trans women, there wouldn’t be Pride. The group of eight women were part of the TERF (trans-exclusionary radical feminism) organization “Get the L Out.” Get the L Out previously tried a campaign to remove the “T” from “LGBT”; when that failed, they called for lesbians to remove themselves from the initialism. That failed too — after all, the vast majority of lesbians aren’t transphobic idiots. The group had not applied to be part of the parade. 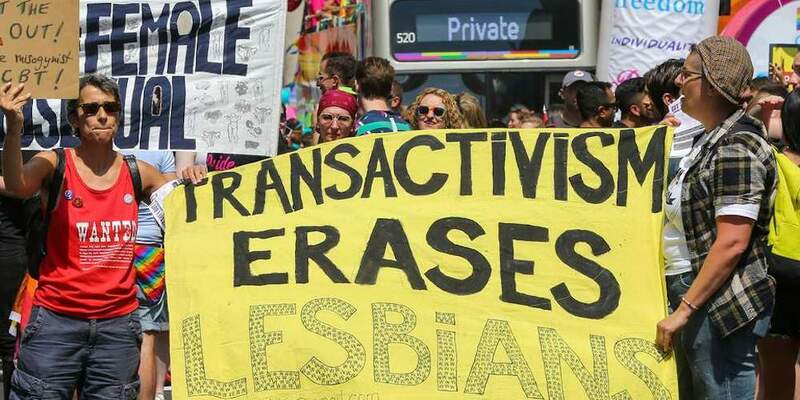 Instead, they blocked the parade route for 10 minutes until they were allowed to lead the parade, with banners reading “Transactivism erases lesbians” and “Lesbian=Female Homosexual.” The parade was originally going to be led by the National Health Service, which celebrated its 70th birthday this week. 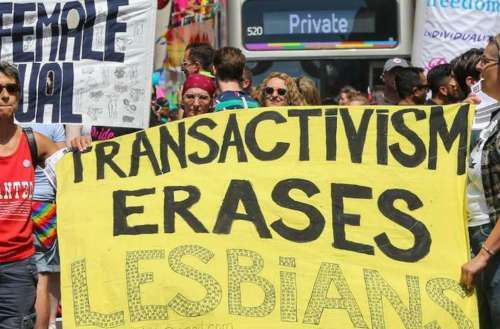 A Pride In London spokesperson said the protesters were allowed to lead the parade “given the hot weather and in the interest of the safety of everyone attending.” The spokesperson also said they didn’t condone the transphobic message. Trans activists are calling for the Pride In London organizers to resign over how badly they botched the parade. The official Facebook page is also getting inundated with 1-star reviews. It’s clear TERFs have no place in Pride. And it’s embarrassing and disgusting they were allowed to hijack the march for their own hateful idiocy. If you controlled Pride In London, would you let TERFs lead your parade?